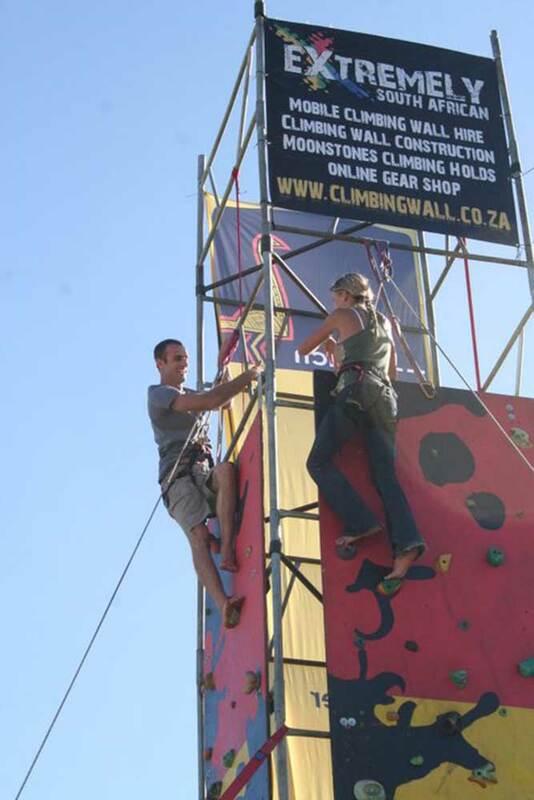 Renting a portable rock climbing wall for your event is the best move you can make to ensure its success! 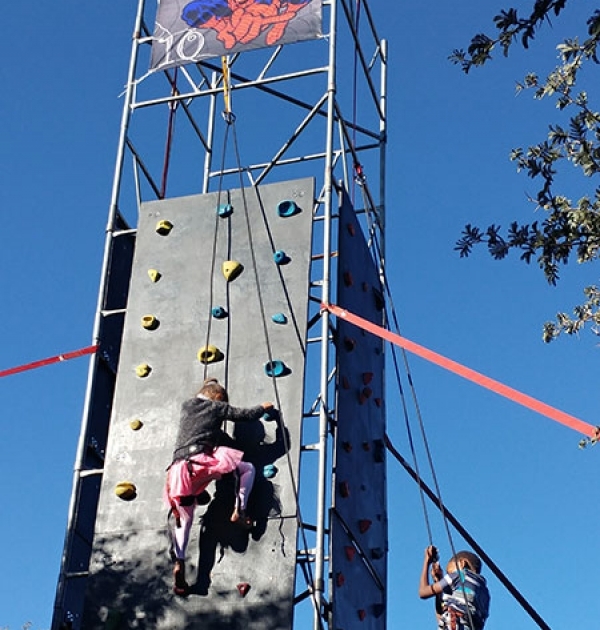 The climbing tower is an awesome crowd puller, visible from everywhere and most importantly; lots and lots of fun for people of all ages! 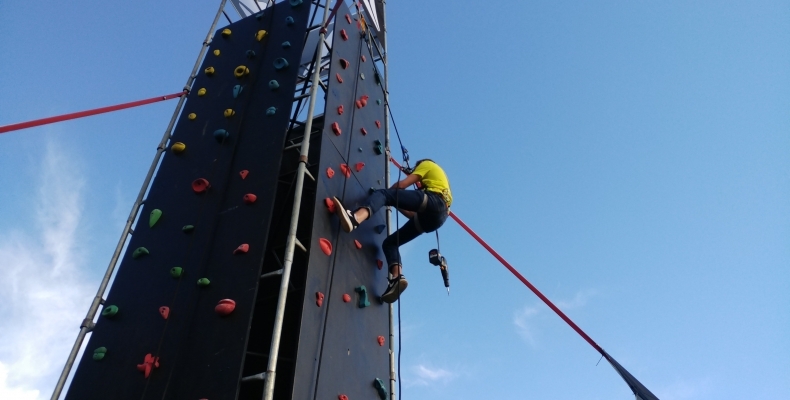 We’ve done hundreds of shows, and helped thousands climb a wall for the first time. 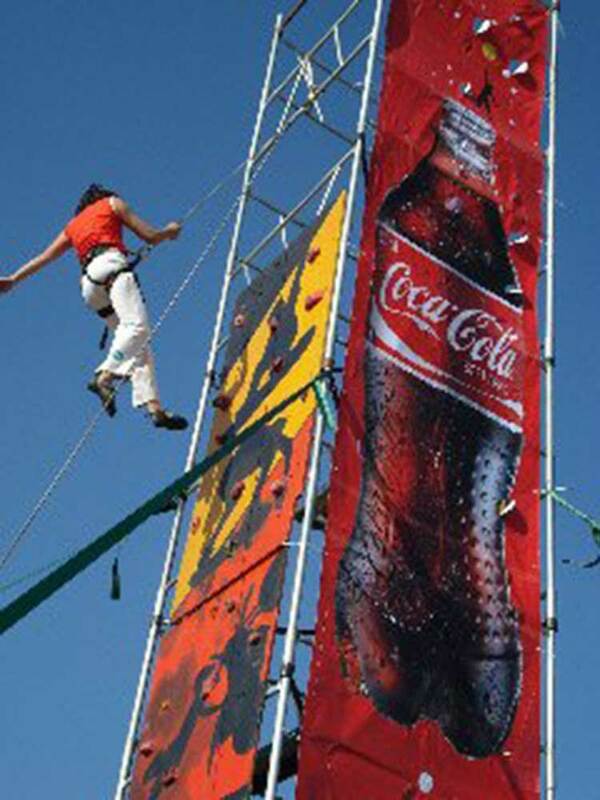 All over South Africa, we have a proven track record of well executed shows. Not only does the wall experience a huge demand in the amount of willing climbers, but it also provides great entertainment for spectators, happy to watch the achievements of others. Transport to and from the event. 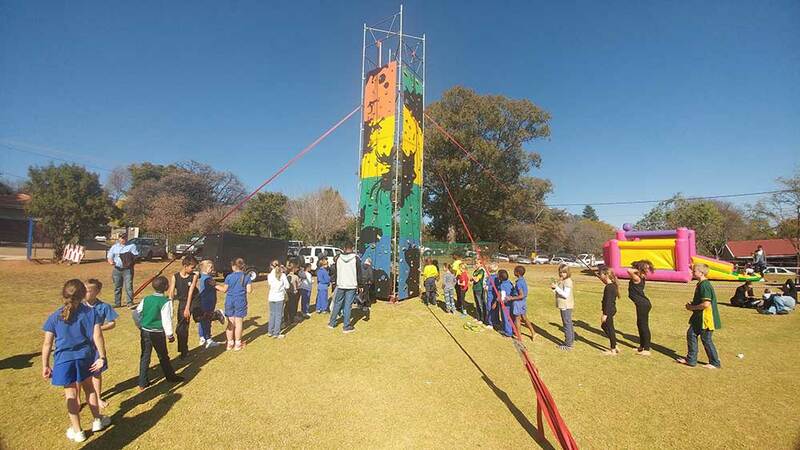 On time set up and dismantling of the climbing wall at the premises/event. Min. 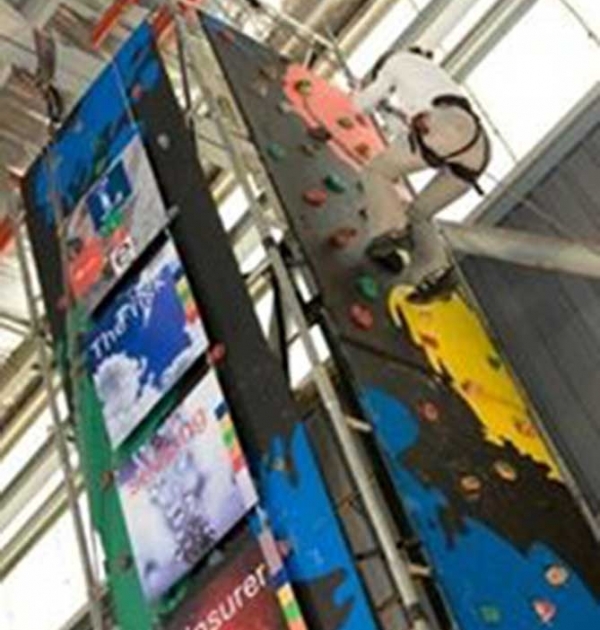 3 experienced climbing wall supervisors to fit harness' & belay climbers up and down the wall. 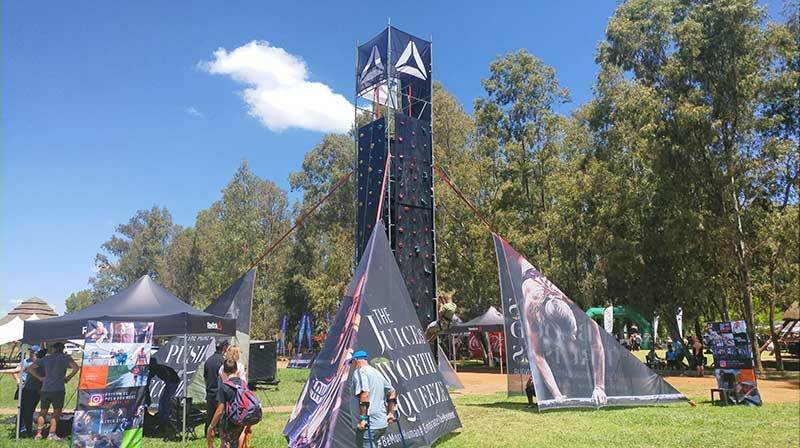 How do I book a Mobile Climbing Wall? Contact us for a quote and to check availability. We request a signed Order Form and deposit to secure a booking. 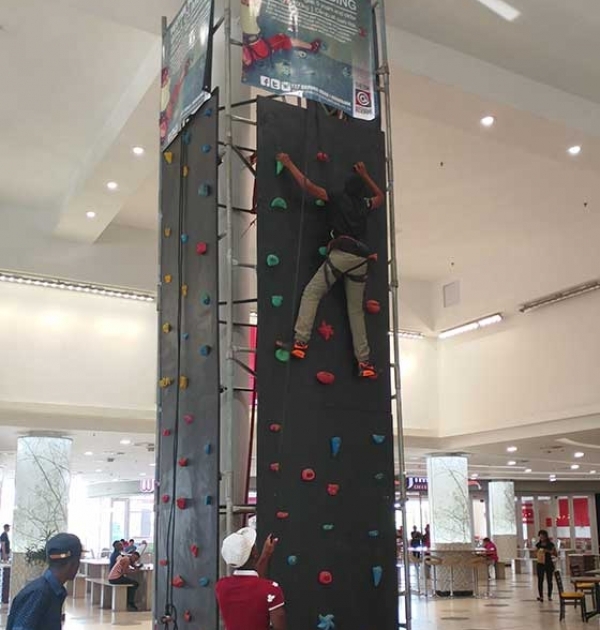 How many people can climb in a day, and what ages can climb? 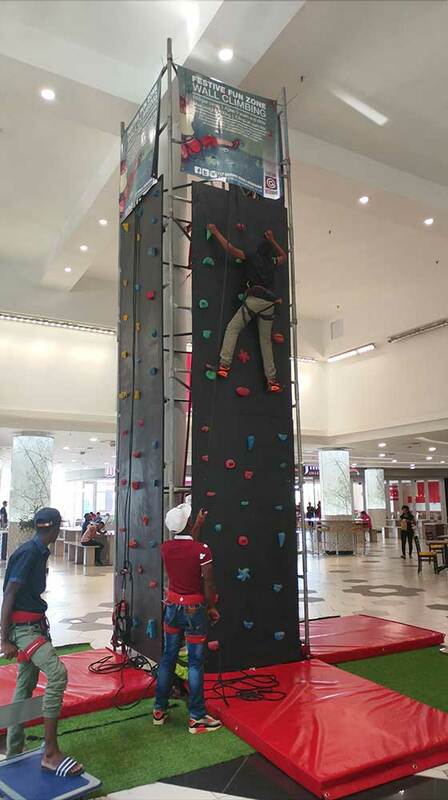 This depends largely on the demographics of the group climbing, but average climbing time per person is 2-3 minutes, and 3 people can be climbing at any given time. We have safety equipment for ages 3+. 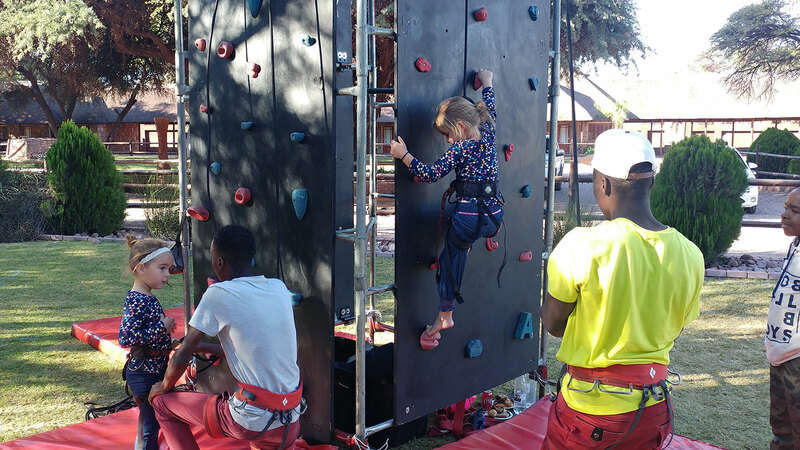 We fit full-body harnesses to young children, and adjustable waist harnesses for older kids through to even...‘big boned’ adults. 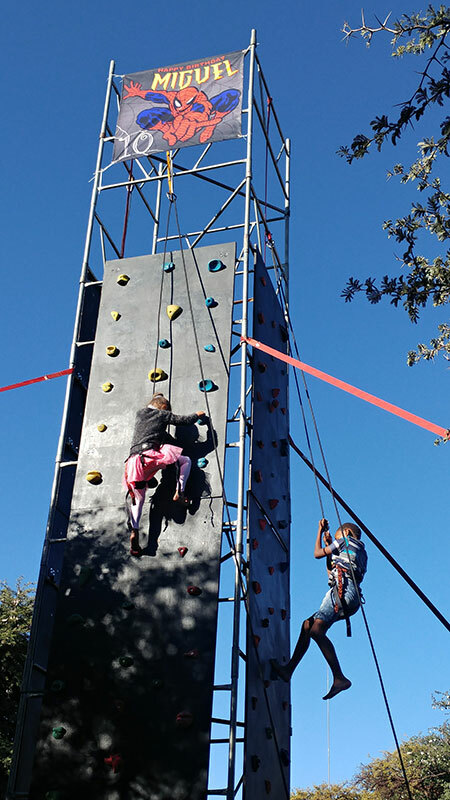 The climbing grips are arranged to make it easy enough for kids, yet still test adults. 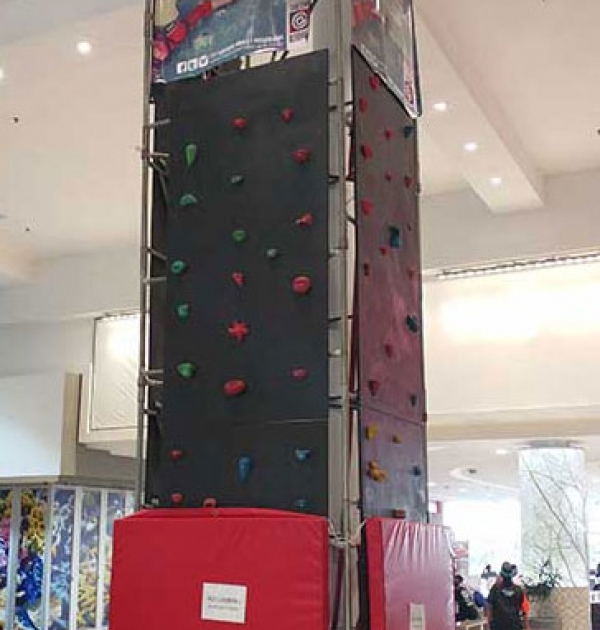 Where are your Mobile Climbing Walls available? 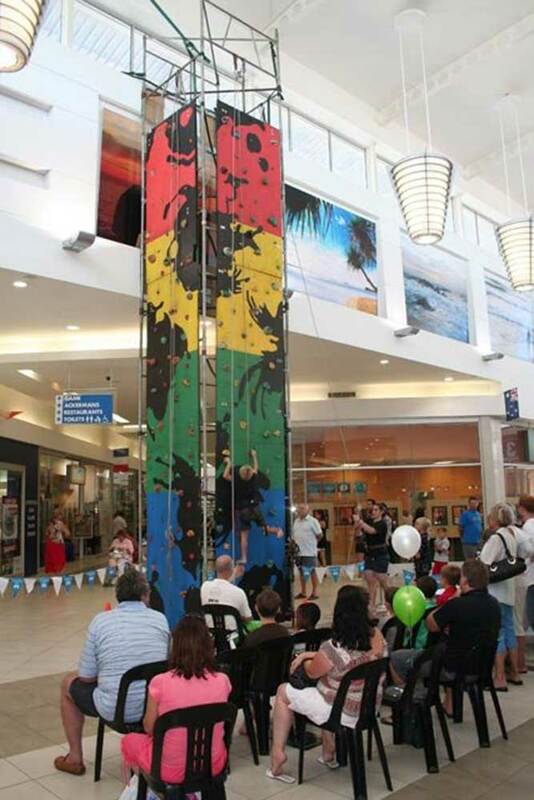 We currently have Rock Climbing Walls in Gauteng (Johannesburg and Pretoria. 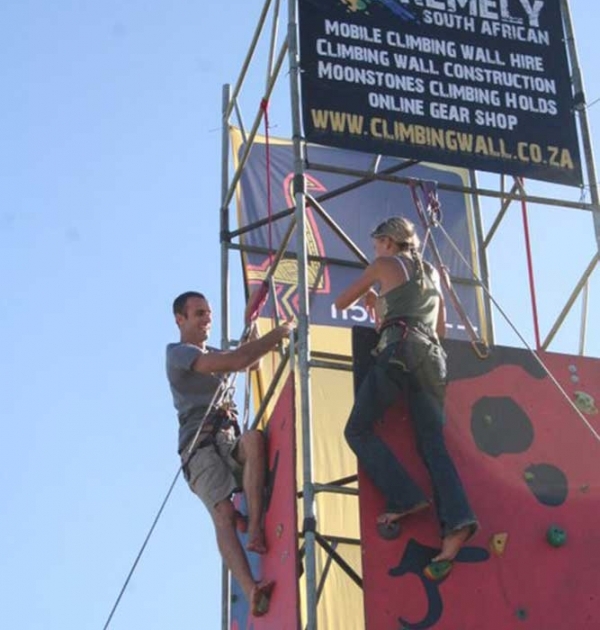 We do travel if needed, so for promotions around South Africa, please contact us for a quote. Can we play team games? 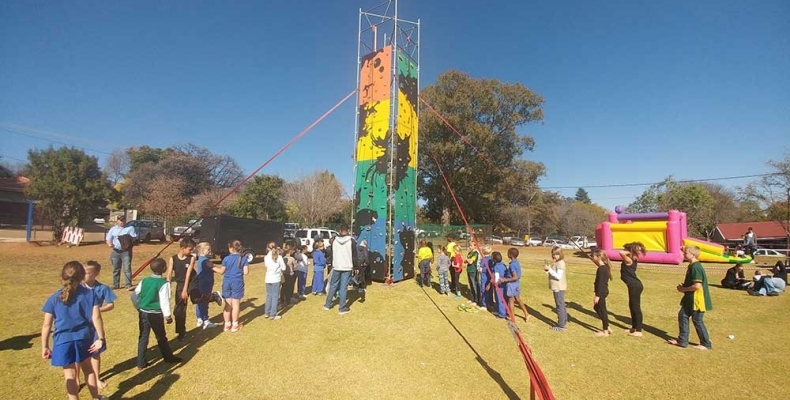 Climbing games such as individual or relay speed climbing comps can be arranged. 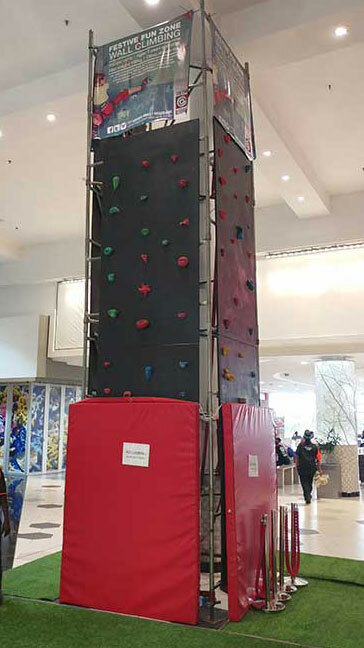 The Climbing Wall can be used as part of an obstacle course. 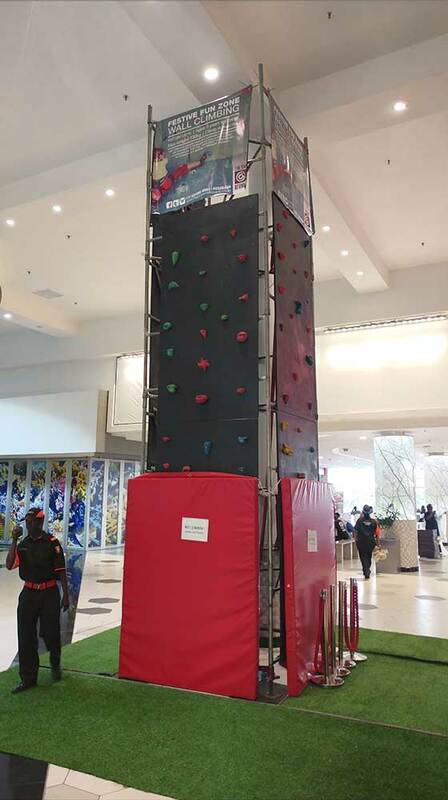 Prizes/tickets can be rigged for participant collection at the top. Let us know what you plan to do and we’ll ¬fit in. 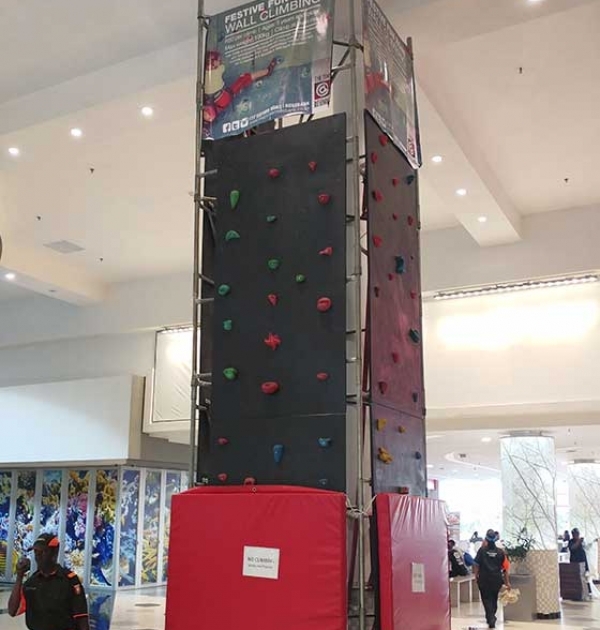 We do have franchise opportunities available so if you’re interested in running a mobile climbing wall in other provinces, contact us. This is a fundraiser, how can we make it profitable? In the case of schools and religious or social events, a ticket system is suggested. Provided you have the feet, we can get them up and down the wall. 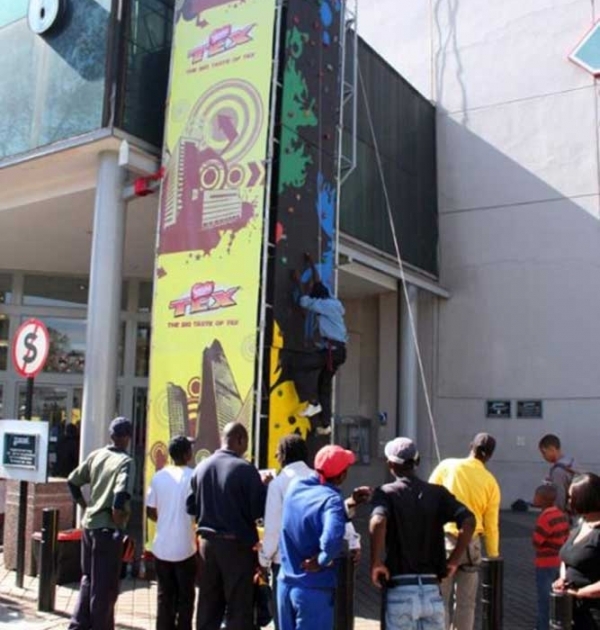 Another option is to approach parents, members and local businesses for sponsorship. 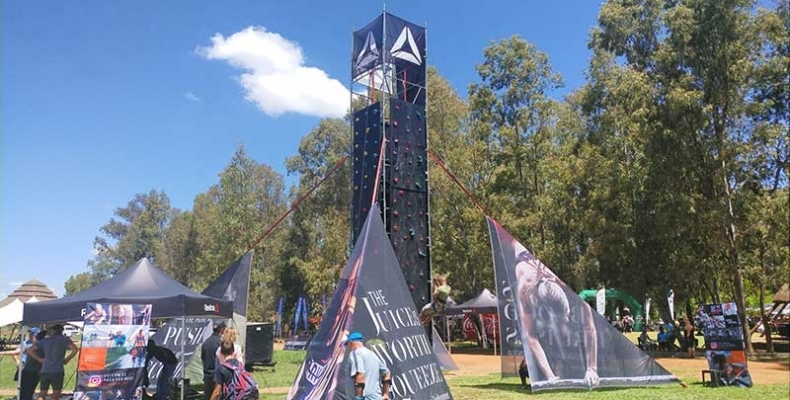 As the Climbing Wall is always the most visible and well attended stand, sponsors are often happy to run a promotion at the event, or brand the wall with their banners, and take advantage of the exposure. You sell tickets and keep 100% of the income. 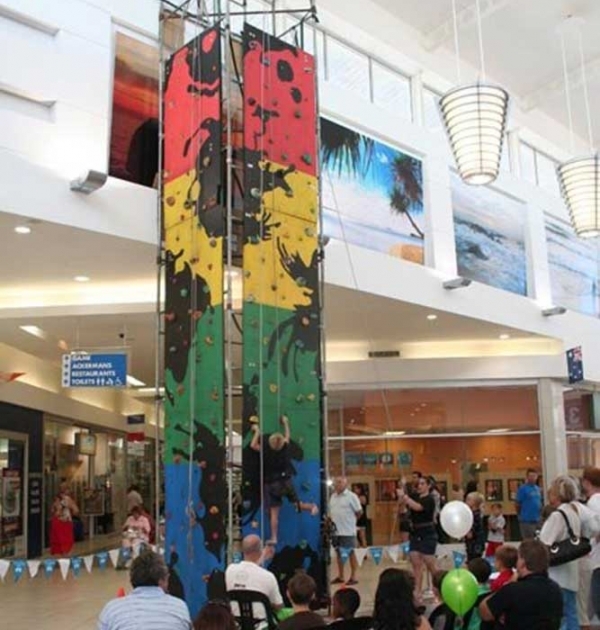 Our Mobile Climbing Walls are 10m high x 1.5m x 1.5m, and require 10m2 – floor space for the four anchor points to be secured to the ground. Grass is the preferred surface for long ground pegs, but we can also set up on concrete or tar, indoors and outdoors depending on the site. 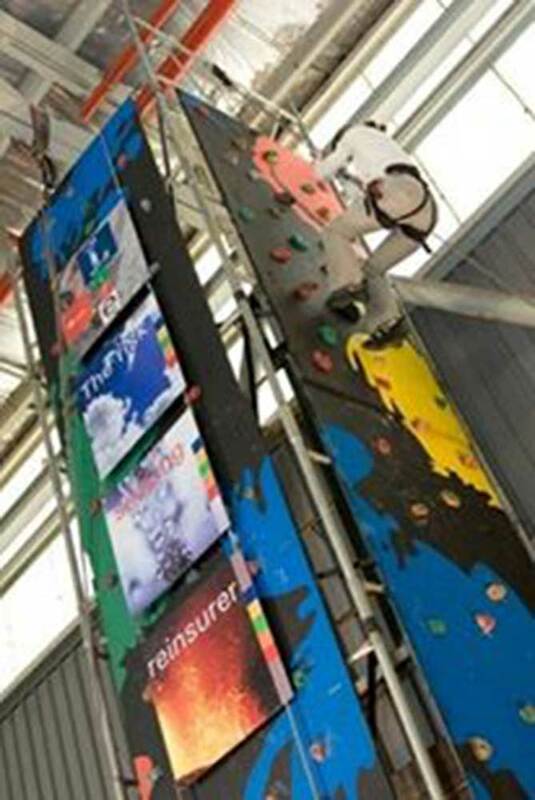 Please notify us of where you intend having the wall up, ideally with some photos and we can advise how we will set up. 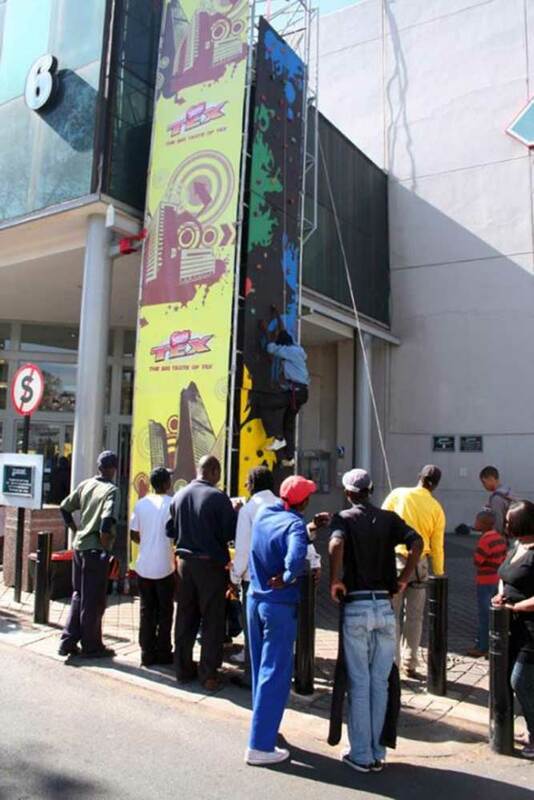 Should you need an engineer's sign off for your event, please let us know and we’ll facilitate it. Do note though that it is not included in the rental. 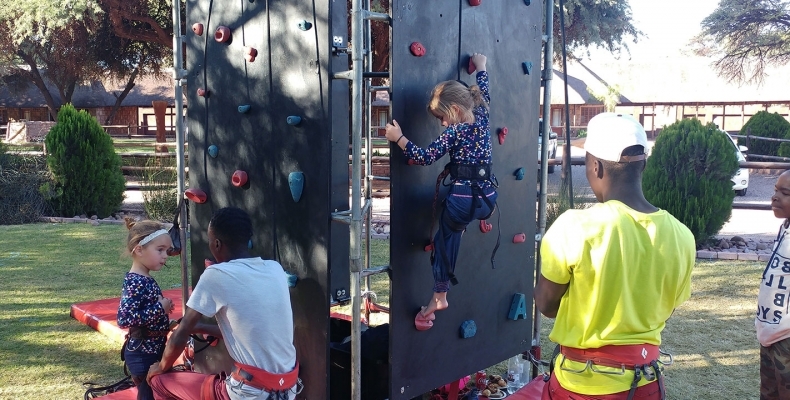 Extremely South African takes pride in maintaining a perfect safety record, and our climbing wall has withstood, literally some of the harshest South African conditions all over the country. 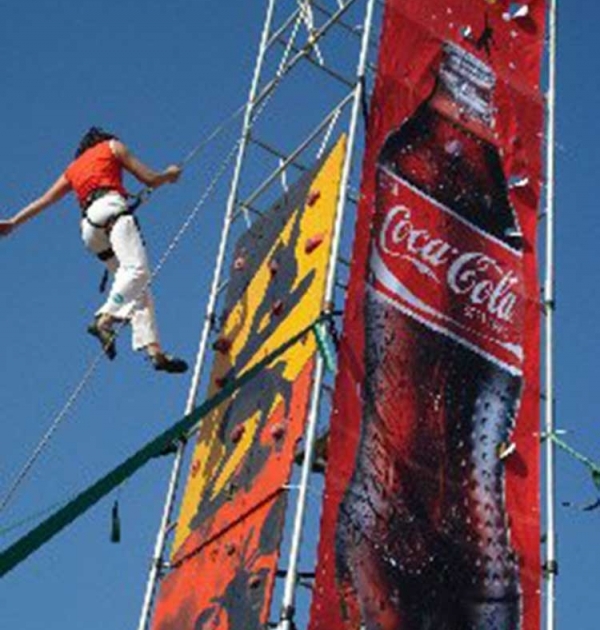 We do carry indemnities at the stand and can include your company on the disclaimer sheet.